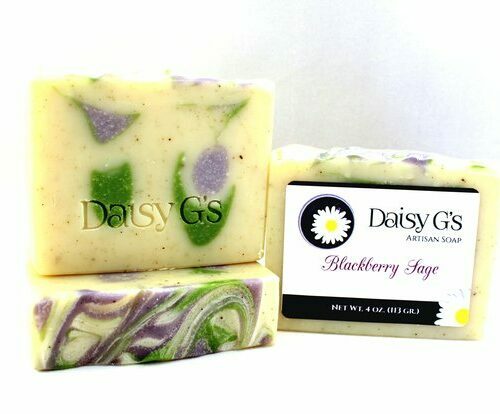 Our customers love this combination of juicy fresh blackberry and herbal sage. 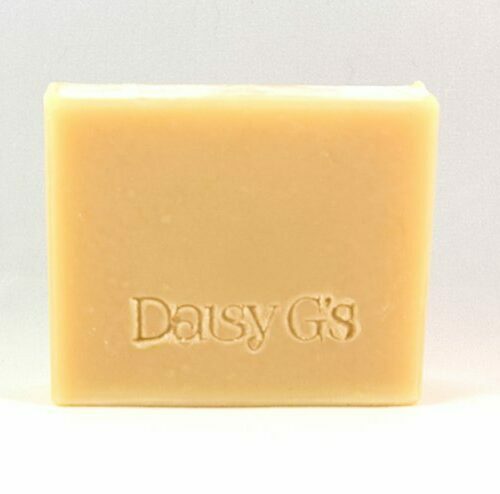 Popular with men and women of all ages, this is a great choice for gifts, and for those that aren’t sure which of our many fragrances to select. 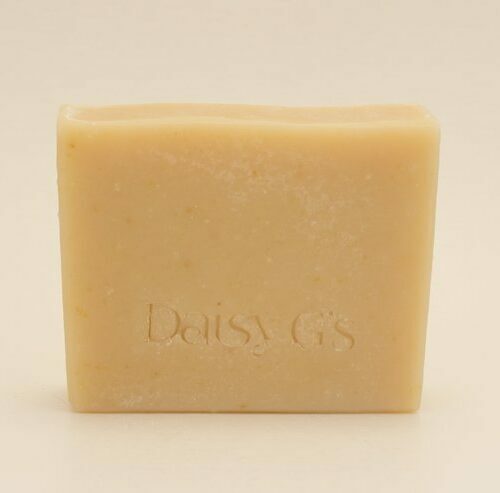 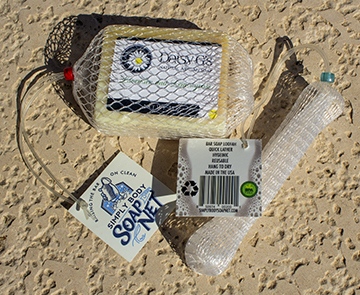 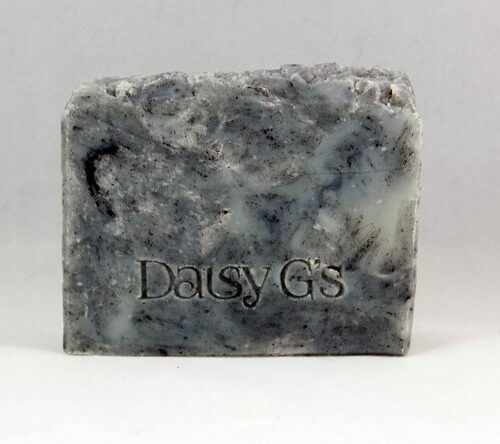 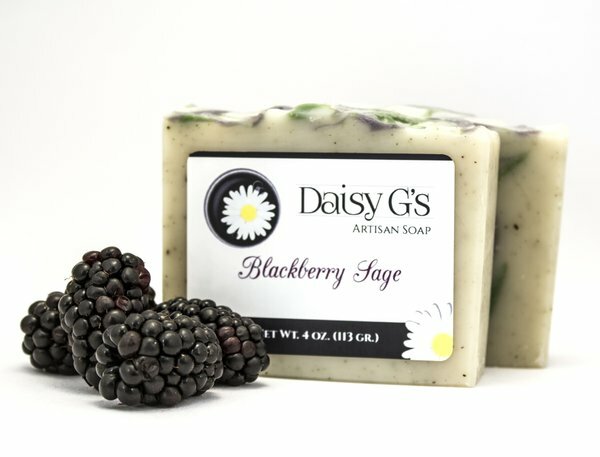 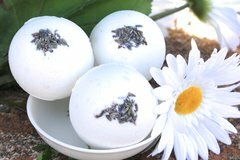 Daisy G’s Handcrafted Blackberry Sage Soap is designed to be non-drying and lather well in hard water for an enjoyable bathing experience in all water types. 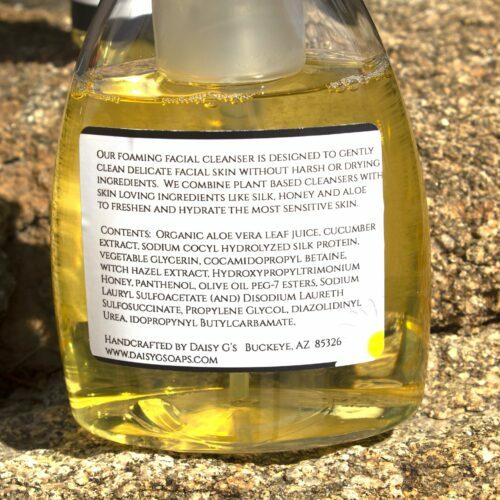 We do not use palm oil in our products. 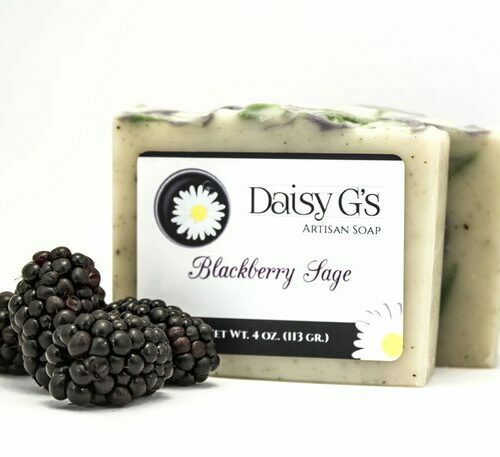 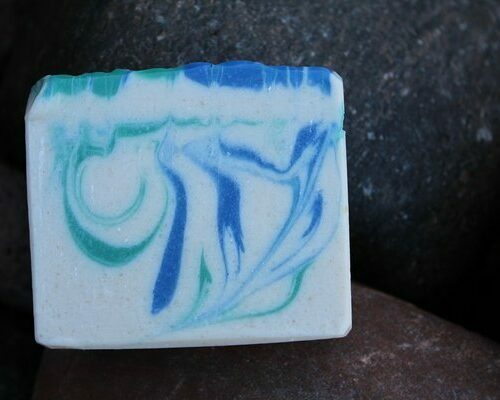 Our Blackberry Sage Soap is vegan and made with a rich blend of 4 oils and 2 butters. 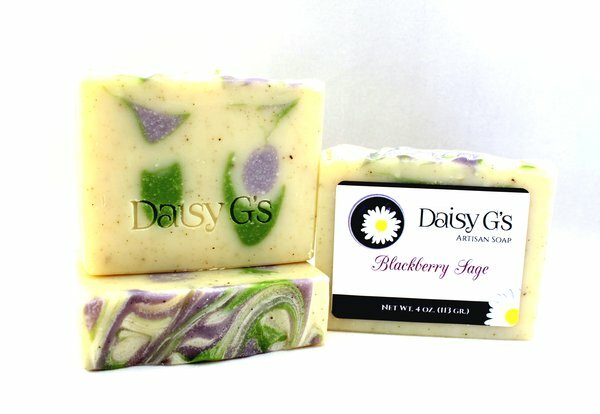 Pair your Blackberry Sage soap with a Blackberry Sage Lotion for long lasting fragrance! 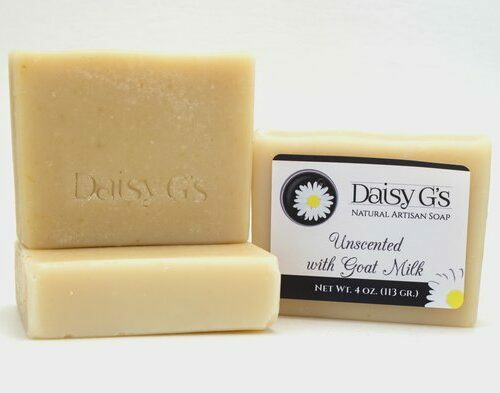 Vegan, palm free, phthalate free. 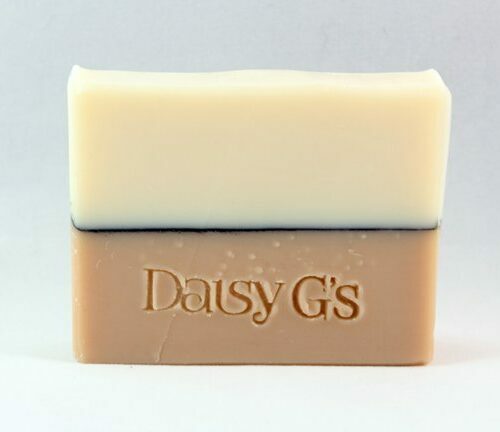 Each bar weighs a minimum of 4 ounces. 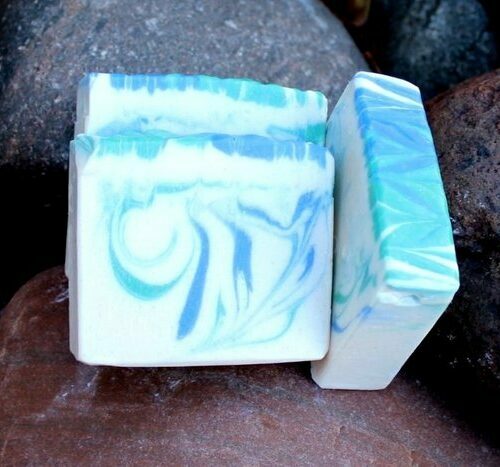 Ingredients: Olive oil, coconut oil, water, sodium hydroxide, avocado oil, shea butter, castor oil, fragrance, sage, ultramarines, oxides, fragrance.